Personally, I love to give (and let’s be honest, receive) a gift box. Take the perfect-gift-giving pressure of yourself by choosing an especially curated gift for new mums and their babies with these perfectly modern, fun, all awesome gift boxes. No boring gifts here, Hello Mama has a gift box for everyone – mamas to be, new mamas and tiny humans. 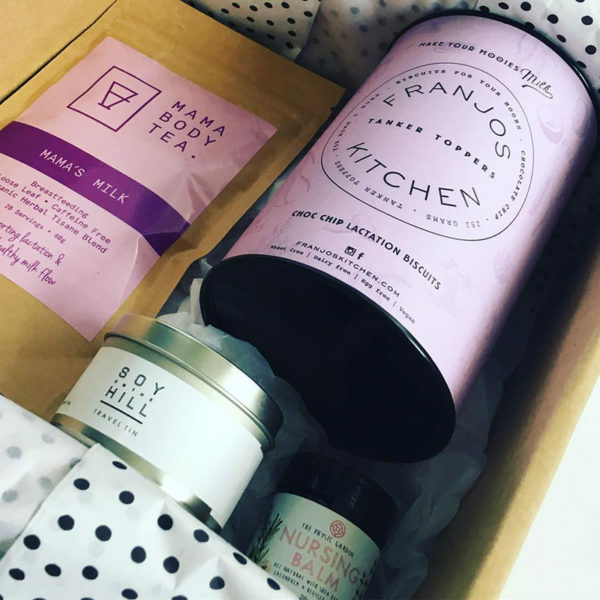 Franjo’s Kitchen baked goods, Bakedown Cakery chocolates, Mama Body Tea, skincare and candles to boot – you’ll find it all here, packaged humorously and beautifully. Gift box prices start at $35. Little Poppy Supply Co has its finger on the pulse of all things hip and handmade and hand pick their items to create beautiful, unique gift boxes. Special, limited edition gift boxes are available along with a line up of fantastic offerings for breastfeeding mums, baby showers and wellbeing. You can even create your own! Gift box prices start at $66. 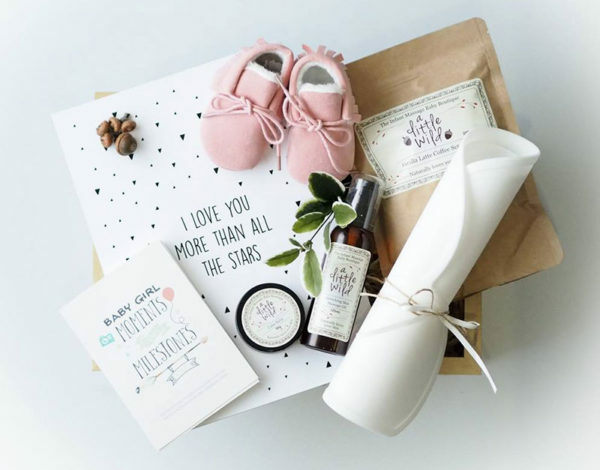 A beautiful baby shower gift, the luxurious Mama To Be gift box from Box and Twine ticks all the boxes. Priced $78, it’s a brilliant blend of practical and keepsake items for mum and bub. 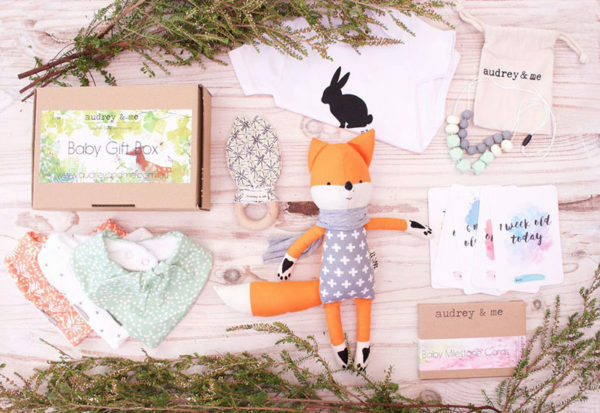 For a gift box bursting at the seams with pretty things for baby, I adore the Baby Woodland Gift Box, priced $154 from Audrey and Me. Filled to the brim with the cutest of toys, clothing and accessories for a new baby. Have a monochrome loving friend? Hatches and Matches has your back in giving the best, most stylish gift. The Hello Baby Gift Bundle, $79.95, includes handy milestone cards for mum, a baby onesie, a knit headband and the cutest grey fox socks you ever did see.